Due to affluent industry skill and practice, we are occupied in providing an extensive range of LAPP Cable. A TO Z INDUSTRIAL ITEMS. Energy Combustion, Ahmedabad India Importer and suppliers of all accessories for Siemens Burner Managment Systems. 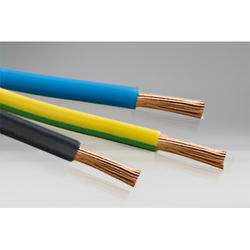 We are authorized dealer for lapp cable in chennai. Lapp products as follows. - Olflex :control & power cable. - Lapptherm :temperature resistant cable, silicon insulated cable. We offer LAPP Power Cable. We are a leading Supplier in LAPP Cable. LAPP House wire .75 sq mm, 1 sq mm, 1.5 Sq mm , 2.5 Sq mm , 4 Sq mm , & 6 sq mm available in 90 mtrs coil in 5 colours i.e. Red, Yellow Blue green , Black.